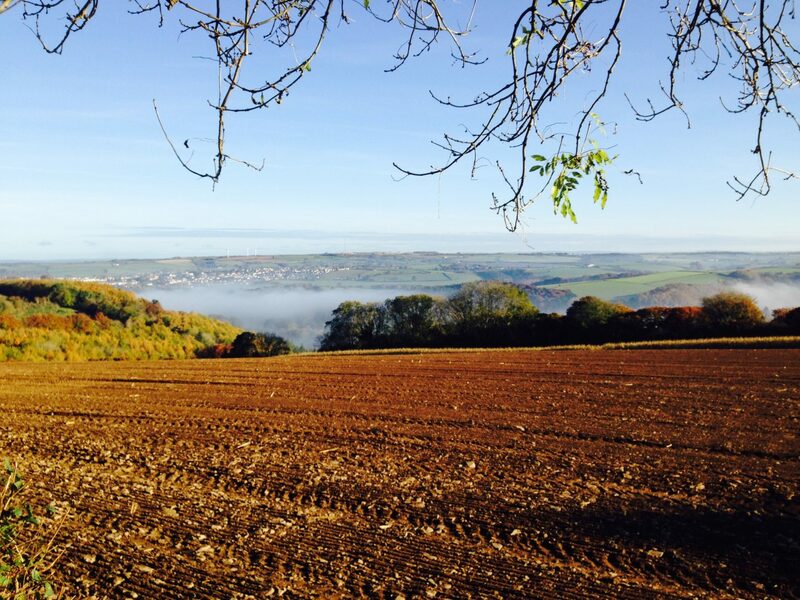 This is a guest post by my friend Penny Metcalf who runs Mindfulness for Beginners in Hampshire. 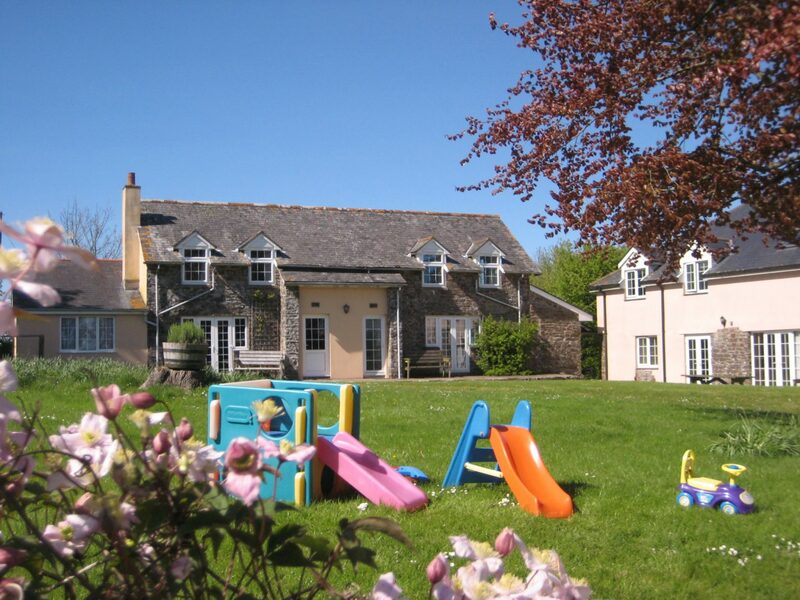 Torridge House Farm Cottages is a collection of nine family-friendly self-catering properties set amid tranquil farmland in north Devon near Great Torrington. It is a haven for families. 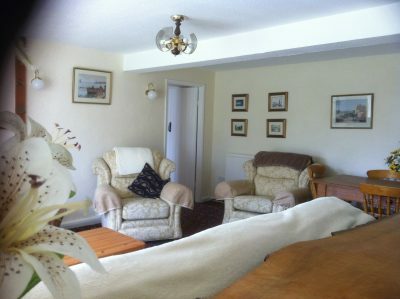 The cottages surround a small petting farm with animals who are available for feeding, grooming and caring for every day. Each morning and afternoon the children and parents are invited to feed and cuddle the animals, from piglets to rabbits. There are ducks and chickens who eat from your pot of seeds and whose eggs you can collect at bedtime. There are cats who often have kittens who gambol freely around the farm. There are small white mice and there is Mr Goose who thinks he’s a duck because he was brought up by ducks. Every morning the children are responsible for giving out food and water, letting the birds out of their houses and will have some time to have a cuddle a baby bunny or guinea pig or whatever they choose. 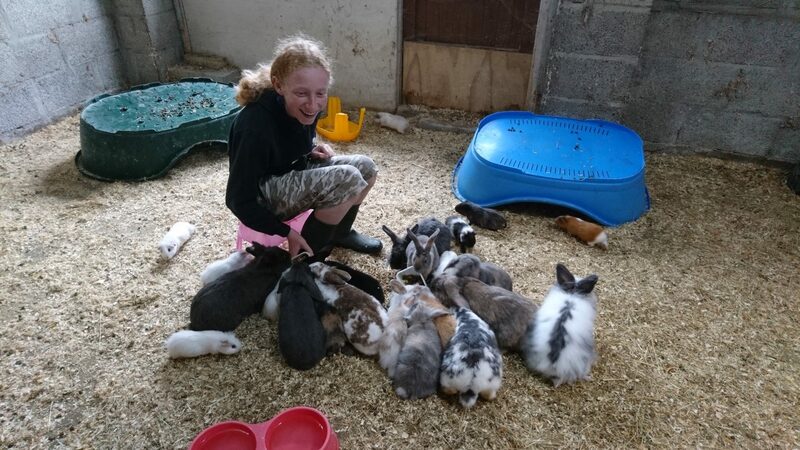 For those who like to get more involved, there are jobs around the farm like cleaning out the pens – even those who refuse to clean out pets at home suddenly jump into action when it comes to cleaning out the holiday rabbits. There’s the chance to learn more about what is required in looking after animals and the opportunity to overcome the fear of handling them. Some people come because their children can’t get enough of furry things, others come because they or their children are nervous about handling animals and come to do it in a safe place. When you have had your fill of small animals, there is an outdoor pool, many little trikes, push along cars and and toys for preschoolers. Older children enjoy the lawn with football goals and table tennis. There are BBQs to borrow and tables and chairs outside the houses. 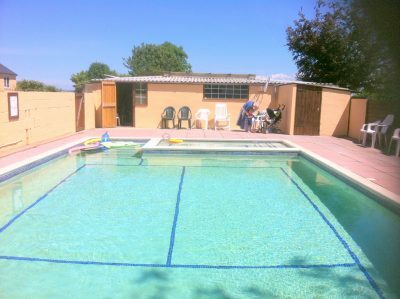 The cottages range from rustic farmhouse annexes to brand new barn conversions, some are large enough to bring friends or grandparents while others are small enough for single parents. About ten minutes away is the small town of Great Torrington, with small shops and bakeries plus Dartington Crystal where you can watch glass being hand blown and buy it at discounted prices. In another ten minutes you are at Westward Ho, a huge expanse of sand and sea. 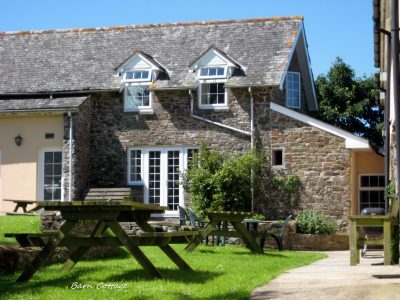 Within an hour you’ll find the beautiful beaches of Croyde and Saunton Sands – good for surf lessons and rock pooling, while a bit further on is Bude. The picturesque Tarka Trail, named after fictional Tarka the Otter, runs close to the cottages. This 30 mile car-free pathway is perfect for walking or cycling. Also nearby is War Horse Valley, the farm where Michael Morpurgo’s War Horse was set. But our favourite trip out is to the utterly idiosyncratic Gnome Reserve. Suspend all your reservations about anything gnome related because this is a charming walk through ancient woodland where the children delight in spotting gnomes. There is a wildflower garden where children can learn about plants, find ceramic fairies and fill in a little quiz to take to the Gnome Lady who sits in a house creating the most beautiful fairy pictures and hand-painted tiny ceramic pixies. 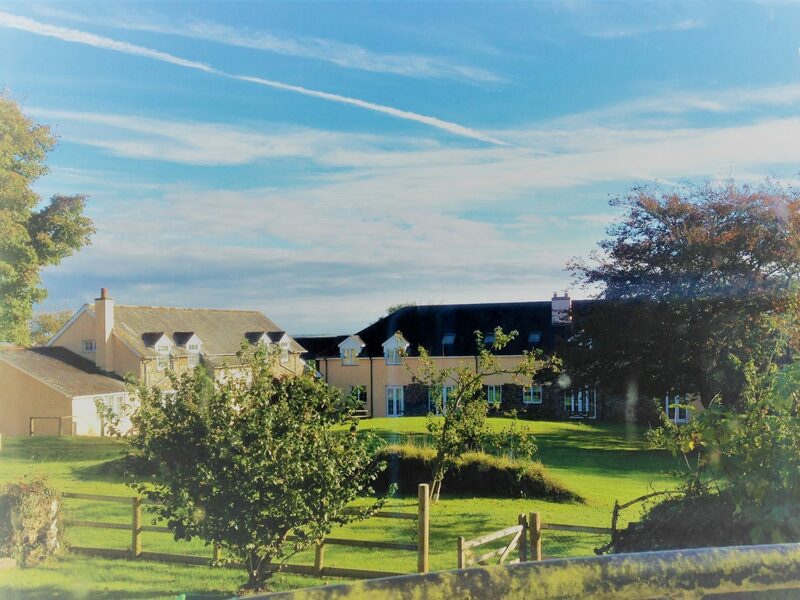 There are countless other attractions close to Torridge House but what is unique about the property is that on a rainy day when everyone is tired you don’t have to go anywhere at all. You can stay at home and potter around the field playing on toys, splashing in the pool and cuddling kittens and rabbits all day. This is a real escape from the rest of the world. You can choose to explore and have adventures but there is also the option to have complete downtime and just relax and focus on each other. We first came here when my son was 18 months old and we loved it so much that we have come back every year since. 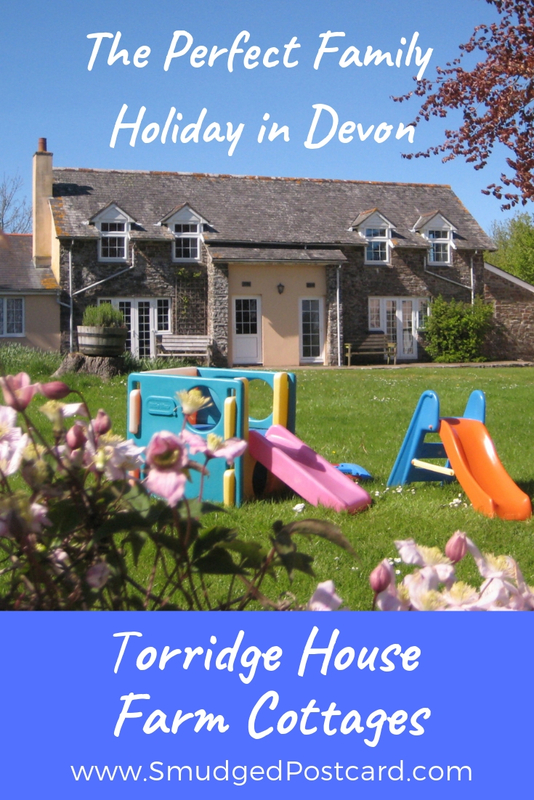 Now aged 11 and 13 the children see Torridge House Farm Cottages as a home from home. Barbara and Laura who run the farm are caring and kind hosts who remember everyone’s names and ensure that guests have what they need, whether you are a grown up requiring help working the oven or a small child wanting to collect an egg. 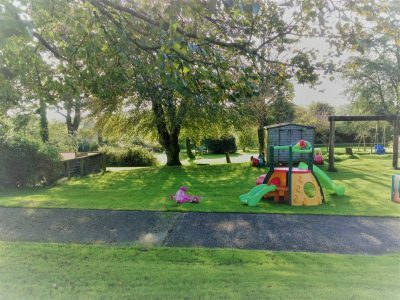 What started off as the perfect solution to what to do with energetic toddlers grew into the children’s first taste of independence as they made friends with other children and ventured out to play together on their own. The grownups have become friends too and for the last five years the same families have chosen to stay on the same week to maintain those friendships. What started off seeming an idyllic and easy place to stay with small children has become a source of deep connections to a very special place and some wonderful people. 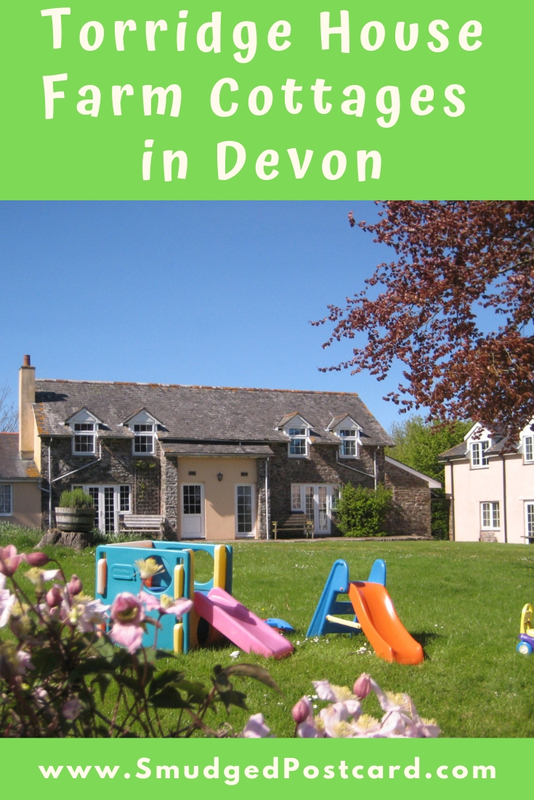 For other farm holiday ideas, check out my posts on Rudge Farm in Dorset, Nettwood Farm in Somerset and Bush Farm Bison Centre in Wiltshire. If you fancy staying on a farm in Italy, read my guide to agriturismo holidays. Have you stayed on a farm for your family holiday? Let me know in the comments below. 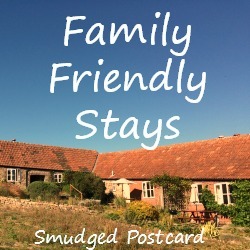 This post is linked to Family Friendly Stays. My two would be in heaven with that rabble of rabbits and guinea pigs! This sounds like a lovely retreat, especially for city kids like ours. I agree, I’d love to take my two there.